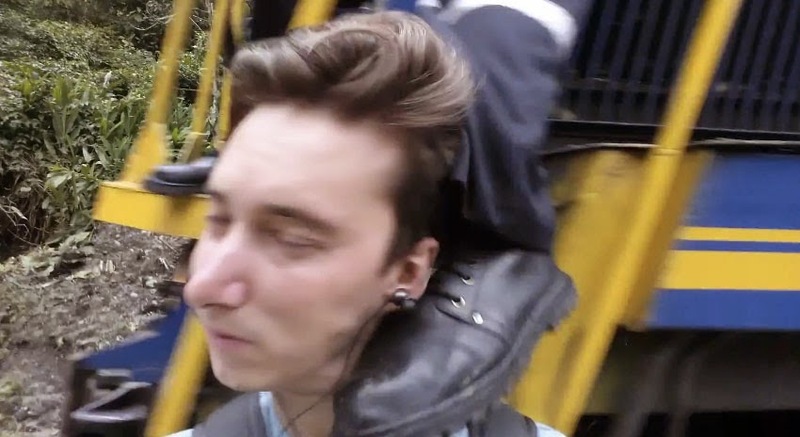 Seeing an incoming train, Jared Michael tried to take a selfie but got kicked in the head instead by a man aboard the train. Why did the man aboard the train who could be the train's conductor kick him? He hated people taking selfies? Nope. The consensus is that he was merely trying to push away Michael so he won't get hit by the train. Needless to say, the kicker is a hero, not a man who gets a kick from kicking people.